Why do you think this play was such a success in the West End in 2005? This is a play with "joie de vivre" said a reviewer of the 2005 production – it conveys the enjoyment of following a dream, however unlikely that dream is. Florence Foster Jenkins believed herself to be a superb singer, but in reality she struggled to stay in tune. 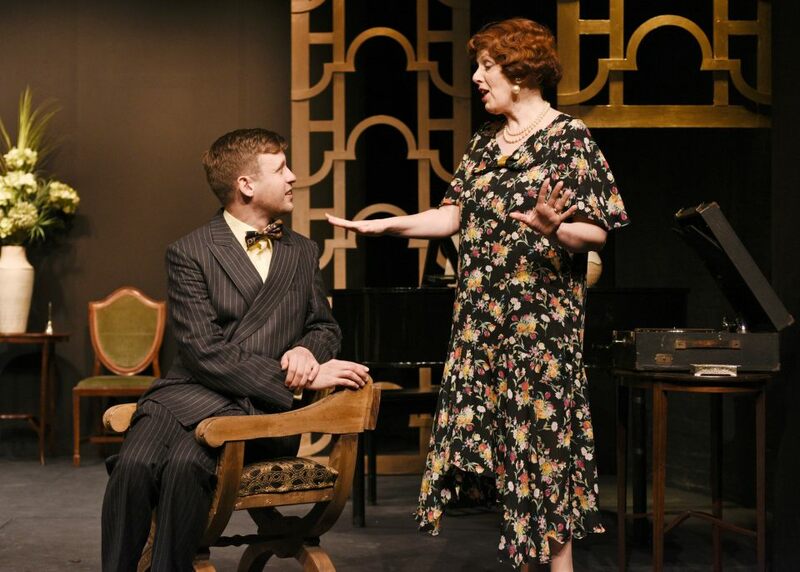 This delusion makes for a very entertaining play, full of the variety of music, comedy and emotion. If the audience knows about Florence's "sliding scales", part of the fascination is to find out how well the leading actor can replicate that sound, and there's a certain frisson in watching the re-creation of such a performance. This certainly contributed to the play's success in 2005. As with Florence's live appearances, the audience was entertained, and intrigued to find out what made her believe in herself, and who the woman was behind the voice. What would you say to encourage people to come to watch the the theatrical version of Florence Foster Jenkins life rather than watch the recent film? The stage version differs from the film, in that the film offers a broad vision of Florence's life and death, whereas the play explores in more depth the nature of Florence's personality through her relationships with her husband and friends. Also, the main focus of Florence's dream was performing, either by recording or singing in public; experiencing this live in a theatre gives those performances greater immediacy than is possible by watching the film. In effect, the audience relives the mixed feelings and reactions of Florence's audiences in New York. Three of my previous productions were serious in nature and tone, so it is a pleasure to turn to comedy, and to come to grips with the portrayal of an unusual and intriguing group of characters, who make me laugh and think at the same time. What has been the greatest challenge in bringing this play to the stage? There are always different challenges for each play, and in this case the main one was finding an excellent actor who could sing well, so that she could sing as badly as Florence! I have been particularly lucky to have found one, and she is supported by a first rate cast and an excellent production team, including music, extravagant costumes, and a recreation of Carnegie Hall! What has been your greatest reward in directing this play? Over the weeks of rehearsal, it has been particularly pleasing to see a collection of individual actors and crew blend together through creative collaboration, to bring to the stage a warm-hearted, often funny portrayal of this complex, intriguing woman.